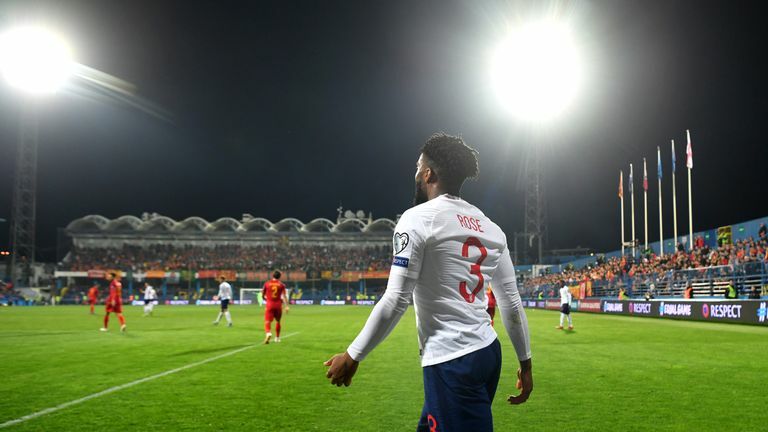 Rose has revealed he "can't wait" to end his football career in the wake of the racist abuse he received alongside Callum Hudson-Odoi while playing for England in Montenegro last month, having had enough of the sport's inability to tackle the issue. 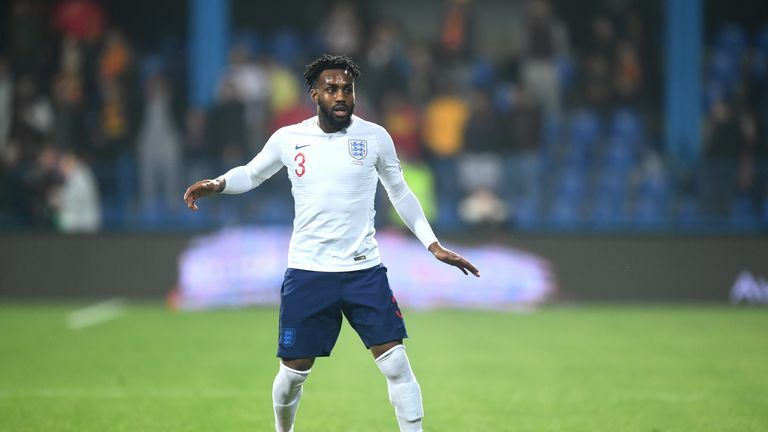 The 28-year-old travelled with the England squad already expecting to receive the abuse after he was targeted when playing with England Under-21s in Serbia earlier in his career, and called current punishments a "farce". But Manchester City manager Guardiola plans to try to convince Rose to keep battling racism from inside football when his side face Tottenham in the Champions League quarter-final on Tuesday. "Danny Rose should not do that (retire)" he said. "I will tell him the best way to fight, to combat this kind of terrible situation is fighting, being there every day, because he is an extraordinary football player." I will tell Danny the best way to fight, to combat this kind of terrible situation is fighting, being there every day, because he is an extraordinary football player. Crystal Palace boss Roy Hodgson echoed Guardiola's thoughts and believes people at the top of the game need to have "very serious" conversations. "It's very disturbing that a player of that quality and the age he is makes that decision that racism is getting so bad and on top of him that he's even considering leaving it all behind earlier than he should," he said. "I think the authorities will listen, but it shouldn't be a knee-jerk reaction in terms of what proposals we're putting forward to deal with it. It should now be a very serious discussion. "When the measures are put forward I will be strongly behind the players to make sure they get more protection than I feel they are getting at the moment. It would be a great tragedy if players of this quality are lost to the game of football." PL bosses divided: Should players walk off? The unsavoury scenes in Montenegro could be a catalyst for change within the game, with some Premier League managers considering taking their sides off the field if racist incidents occurred again. "This is something we've spoken about many times before but if one of my players wanted to leave the pitch I would back them 100 per cent," said Newcastle boss Rafa Benitez. Bournemouth manager Eddie Howe also confirmed he would support his players, but was unsure leaving the pitch would be the best course of action. "It's a really difficult question," he said. "It's something I've never experienced in management and to the best of my knowledge none of my players have. "I think I'd have to have a long, hard think about it before giving you an answer. Of course I would support my players, but walking them off the pitch, is that the right thing to do? I don't know." 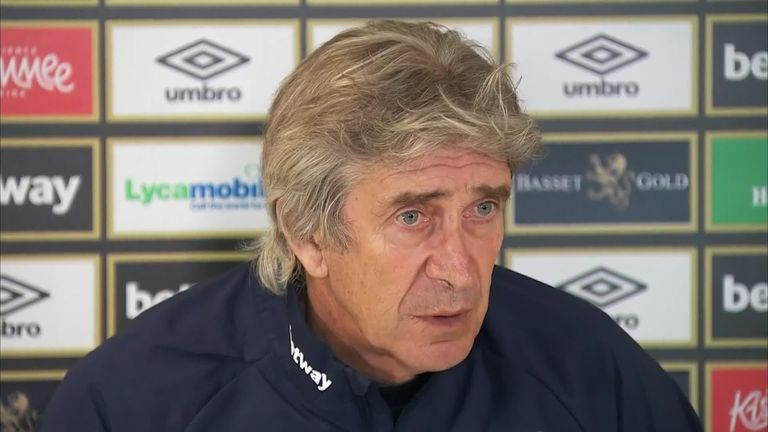 West Ham boss Manuel Pellegrini believes the majority of supporters should not be punished by preventing them from watching their team. "I don't think the game should stop if one or two people shout stupid things," he said. "You cannot punish all the other people who pay their tickets. "With hard punishment those things will stop, but those small amount of people cannot stop a whole game." Wolves manager Nuno Espirito Santo also agreed with Pellegrini, and insisted everyone has to stand up to the issue and fight against it. "I've never considered that option because I believe that nobody can give up," he added. "We have to face it up front and say there's no space for racism in football and in life. "Each and every one of us, not just those who are abused, we have to face it. It's not just in football, it's in life and we have to fight it. Walking off is not an option."